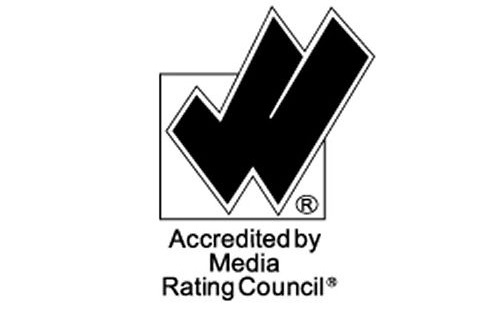 Digital ad accreditation organisation the Media Rating Council (MRC) is considering changing the ad metric standard to require that 100% of pixels have to be displayed to count as a viewed ad. So far, the viewability standard for digital display ads has been that if one half of the pixels are displayed for at least one second that counts as a view. Under the new proposals, the MRC would bring the industry standard more in line with the requirements of brands like Unilever and agencies like GroupM that hold currently digital platforms to a stricter standard. GroupM needs every pixel of a video ad to appear on-screen for at least half the purchased time or 30 seconds, whichever is longer, and requires consumers to press play. Procter & Gamble Co. Chief Brand Officer Marc Pritchard has called on the industry to rally around the MRC rule for the sake of simplicity. Unilever Chief Brand Officer Keith Weed recently called on the industry to rally around the GroupM standard. Some in the industry believe the MRC will move to the 100% standard to put digital media more on par with TV and other media. MRC Senior VP David Gunzerath said in an email that the group may consider such a move. “We’re constantly reviewing the measurement standards we’ve written to assess their continued relevance and effectiveness,” Gunzerath said. The group has “no imminent plans to change the current requirements” but it “definitely” will consider the digital viewability standard as it begins a project on cross-media audience measurement later this year. That effort will develop standards for applying audience measurements such as demographics and gross rating points now used for TV to digital media as well. “It’s possible we will” consider a 100% in-view standard, Gunzerath said, “and it’s possible we won’t.” But the decision won’t just be based on industry feedback, he said. It will also be based data and analysis, as was the case with the original standards. Chad Peplinski, SVP Media, Conversant, said this may not actually be good for the advertising industry: “At first glance, 100% ad viewability seems great. But if it isn’t applied carefully, it can actually discredit some of the spend by creating a false sense of efficiency. Limiting a marketer’s ability to measure their campaigns for just one KPI is a disservice to everyone along the chain. Viewability is an important metric, but we can’t ignore the ultimate goal—driving sales and awareness. There’s a direct correlation between viewability and performance; however, there needs to be sound analysis to determine where we encounter diminishing returns. Is the industry going to say that an ad with 90% of the pixels in view for 0.9 sec that resulted in a conversion wasn’t valuable or legitimate? If so, then publishers and media companies will run such limited supply that prices will skyrocket to account for the lost revenue. Viewability is important, but remember what drove the need to measure it in the first place: ad fraud and cookie bombing for last touch attribution. And that’s where we should continue to apply it.